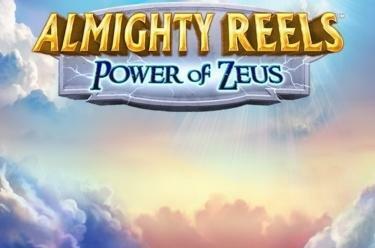 Play ALMIGHTY REELS - Power of Zeus™ online for free now! The omnipotent god of thunder takes centerstage in this suspense-packed slot spectacle. 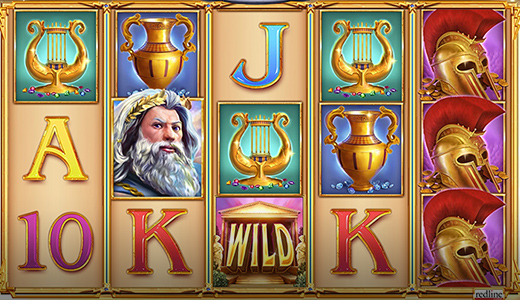 Zeus will open the gates to Mount Twist Olympus for fortunate players on 5 reels and 25 fixed win lines and is also one of the most valuable symbols in the game. Moreover, giant symbols might fall onto the reels at any time! Land at least 3 identical symbols side by side on one of the win lines running from left to right starting on reel 1. 5 matching symbols grant you Twists galore. The Wild symbol can substitute for any other symbol to complete winning combos – except for Scatter. The Scatter symbol, the Golden Coin, measures 3x3 fields and triggers free games when it becomes entirely visible following a spin. In addition, regular game symbols can randomly enlarge to 3x3 fields during the main game and with a little luck generate an abundance of Twists as symbol stacks. Prior to the free games starting you can select a regular symbol as giant symbol (3x3 fields) (Zeus: 8 free games, Helmet: 9 free games, Vase: 10 free games, Harp: 11 free games, Cornucopia: 12 free games.) Choose wisely: symbols such as Zeus or the Helmet trigger less free games but have a higher winning value! When mighty Zeus hurls lightning bolts, the mortals are shaking in their boots! In the compellingly designed game Power of Zeus™ the all-powerful god takes on the role of your ultimate good-luck charm – particularly when he arises on the reels as a giant symbol.